The top menu navigation is an important control for most websites. Users need, to know where they can find what they are looking for, and owners need to know how to categorize and structure their sites. The tool provides a sense of orientation. All the themes come standard, with a top menu that is used to navigate around your website. You are provided with the default links to begin, but if you feel like customizing your top navigation; you can change the links and place those you prefer. Since we have a tool to modify the menu bar, it’s really easy to do. Please Note - When you create a new menu, all the default links that came with the software are removed. Go to the left sidebar (Appearance > Menu). The change is successful - menu bar is updated. Selecting on the Menu type also helps you to specify which type of menu you want to create or edit. Here you will find some options to choose concerning, adding a category or a default page from those that we already have. Also after adding the items you will be able to sort them with the drag & drop control or delete them. Play around with this feature and check the result on your site. 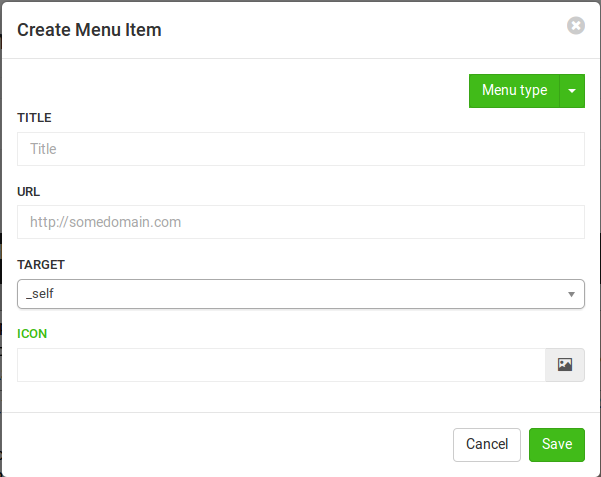 TIP: You can add icons to your menu item easily through the form.